Last night’s (Sat., Feb. 2, 2019) UFC Fortaleza wasn’t that high profile, but the main card delivered a few fantastic finishes. A light heavyweight prospect Johnny Walker’s spinning back-fist TKO win over Justin Ledet, Charles Oliveira’s record submission win over David Teymur as well legendary UFC grappler Demian Maia’s comeback victory. Above all, there was one fight that catches everyone’s attention was former featherweight champion Jose Aldo’s standing TKO win over touted contender Renato Moicano. That was his second straight finish after defeating Jeremy Stephens last July. ‘Scarface’ received abundance of congratulatory messages from pro-fighters including Max Holloway and Alex Volkanovski, the latter even offered to fight. 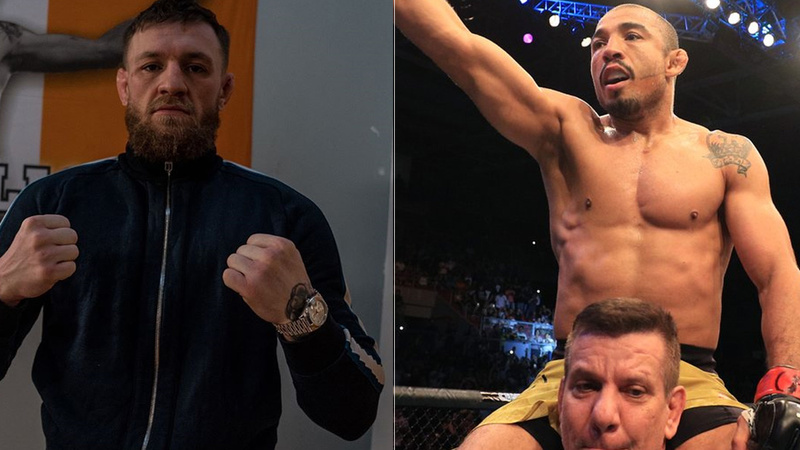 The ex UFC two-division champ Conor Mcgregor was all fired up and impressed with the energy at UFC Fight Night 144 event, now wants to fight in Brazil down the road. Mcgregor added he was “so close” to securing a fight in Brazil last year, referring to an interim welterweight title fight against former UFC Lightweight Champion Rafael dos Anjos at UFC 224. But his infamous bus attack put him in legal troubled that nixed the fight. Also back in 2014, Mcgregor flew down to Brazil to watch Jose Aldo vs. Chad Mendes as well participated in raucous Q&A. Afterward, he put a strong message on twitter for Aldo. Mcgregor met ‘Scarface’ at UFC 194 in 2015 and went on to score the featherweight title after knocking Jose Aldo in 13 seconds. Now Aldo responded and accepted Irishman’s challenge. Jose Aldo always wanted to have a rematch with Mcgregor; now it’s all up to UFC if they’re ready to run it down for the second time. Who wants to see Aldo vs. Mcgregor 2 next? Previous articleUFC Fortaleza Results (Highlights): Marlon Moraes Submits Raphael Assuncao Via Guillotine Choke!